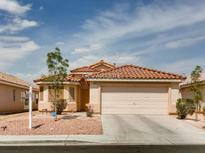 Below you can view all the homes for sale in the Cobblestone Ridge North subdivision located in North Las Vegas Nevada. 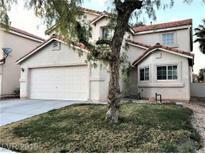 Listings in Cobblestone Ridge North are updated daily from data we receive from the Las Vegas multiple listing service. To learn more about any of these homes or to receive custom notifications when a new property is listed for sale in Cobblestone Ridge North, give us a call at 702-323-5963. Very Nice Home At A Great Price*clean,Well Maintained & Ready For Move In*you Will Love This Layout With Seperate Master Bedroom Downstairs*other Bdrms & Spacious Loft/Gameroom Upstairs*family Room/Dining Room Combo With Vaulted Ceilings*laundry Room Up*washer,Dryer Fridge Included*large 2 Car Attached Garage*nice Big Lot*good Neighborhood Really Convenient To Schools & All Ameneties & Nellis*super Low Hoa Fees*lots Of Home For Your Money Here! MLS#2078184. First Serve Realty. Great investment home kept in good conditions, including a spacious backyard, located in desired area. MLS#2075279. Coldwell Banker Premier. Easy To Care For Desert Landscaping And Solar Screens. All Appliances Stay. MLS#2014032. Signature Real Estate Group.